Beyond the Cartoon explores the language of the cartoon as a way of making sense of the world at large. In doing so, it expands on the multi-faceted universe of cartoons and the impact it has had on various generations of contemporary artists. The animated world is a space that is in constant flux. Accordingly, it seems that the language of cartoons plays a crucial role in helping us understand the world we now live in; characters of the fantasy world have come to have a status as real as any figure from history. Andy Holden’s Laws of Motion in a Cartoon Landscape reflects on the physics of a cartoon environment; it dramatically advances that history has come to an end and that the world is now a cartoon. In this animated world it appears as though anything can happen, yet not anything can; certain rules have come to form and certain actions endlessly reoccur. Holden's film, with the artist himself appearing as a cartoon character to narrate his thesis, proposes that an examination of how physics works in cartoons might tell us something about the world we now live in, and how to be an artist in such a world. 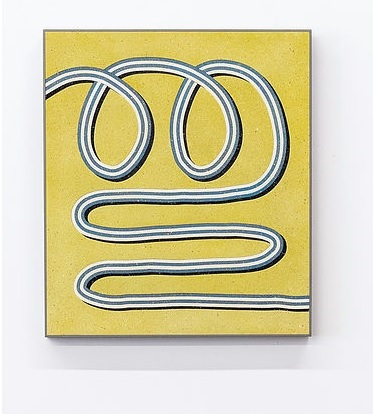 The tradition of the cartoon as a space of flattening out, and as a means by which to analyse the everyday, is sustained in the work of Stephen Felton. Indeed, this language is used to explain something about painting and representation itself. The artist’s sparse and colourful forms examine the world through an accentuation of its most pared down contours: their essentials. 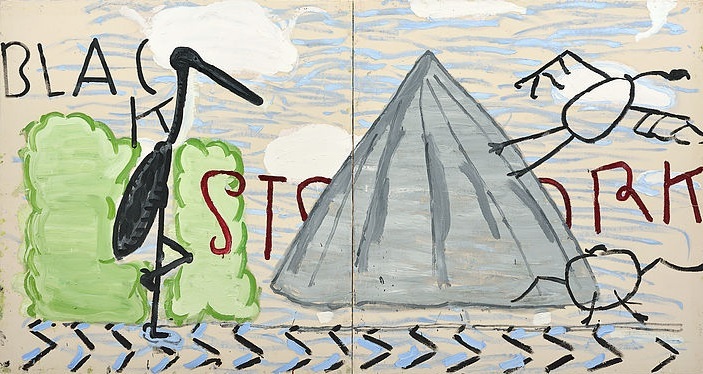 Meanwhile, Rose Wylie has developed her own visual lexicon, which is indebted to, and reflects upon, the vernacular of animated cartoons as well as other elements of popular culture. The wall-hanging works of Rhys Coren appear as approximations of paintings that deliberately muddle the languages of pop and minimalism. Varied shapes – both on and of the canvas – give the impression they’ve been peeled directly from animated features. Comic lines appear out of time, a-historical, and humorously seductive. Paulo Nimer Pjota, for his part, assimilates animated characters into vast unstretched canvases and metallic strips. Cartoon figures such as Woody Woodpecker, Spiderman, Mickey Mouse, and an animated Darth Vader intermingle with textured, worked-into fabrics and street art forms – with musical inspiration and biographical impressions from the artist’s native Brazil. Rachel Maclean’s autodidactic use of technology generates a candy-coloured world; one of quotation, infantile narcissism, and terror. Maclean's work looks at how the internet has restructured the space of the imagination: her green-screen experiments enable her to play all the characters, which have become so exaggerated that they appear to be a cartoon of themselves, promulgating a biting critique of the way the media controls the space of representation. Though Jeff Keen’s practice has only recently garnered acclaim in the realm of fine art, he has long been lauded as an experimental filmmaker par excellence. His filmic works often incorporate stop motion animation and, like Maclean, he tends to include himself as a protagonist. 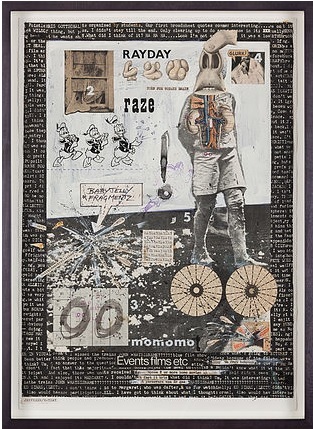 Mickey Mouse and comic book clippings abound throughout both his short films and collage works. Keen was a proponent of the notion of expanded cinema. He advocated for an integration of drawing, painting and live performance under the purview of multi-screen presentations; beyond the customary frame of movie display. Beyond the Cartoon challenges the normative boundaries between conventional cartoon animation, contemporary fine art, and everyday life. The exhibition aims to further our understanding of cartoons, their aesthetics, and their far-reaching impact on our perception of the world today. Rhys Coren (b. 1983) was born in Plymouth, UK and currently lives and works in London. He received his BA from the University of West England, Bristol in 2006, and his Post Graduate Diploma from the Royal Academy Schools, London in 2016. He has had solo and two person exhibitions throughout London and has participated in group shows in Denmark, China, the United States, France, Greece, Mexico, and the UK. Stephen Felton (b. 1975) lives and works in New York City. He studied at the San Francisco Art Institute and the Massachusetts College of Art. Since 2014 he has been exhibited in several spaces across Europe including Valentin, Paris, Le Confort Modern in Poitiers, France, Musée d’Art Moderne et Contemporain in Geneva, Frutta in Rome, and Sifnos, Greece. The latter exhibition was curated by ARTUNER at the end of its inaugural Artist’s Residency Programme in the summer of 2015. Andy Holden (b.1982) lives and works in Bedfordshire, UK. He received his BA from Goldsmiths College, London in 2005. 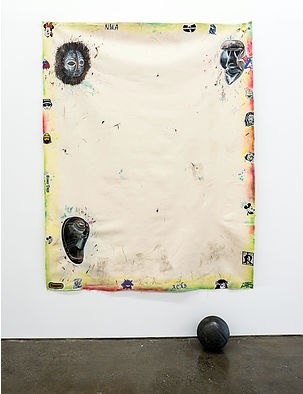 He is a 2011 Stanley Picker Fellow and has had work featured at the Tate Britain, Glasgow International, Cubitt Gallery in London, Whitechapel Gallery in London, Kunsthalle Winterthur, and the Zabludowicz Collection in London. He won the Paul Hamlyn Foundation Award in 2012 and the Boise Travel Award in 2008. Jeff Keen (b. 1923 - d. 2012) gained an Oxford scholarship, but did not attend due to his national service in 1942. After the war, Keen began a Commercial Art course in Chelsea, but never finished it. A revolutionary filmmaker, poet, and artist he has shown in countries such as France, the United States, and the UK, and has exhibited in prestigious institutions such as Tate Britain. Rachel Maclean (b.1987 in Edinburgh) received her BA from Edinburgh College of Art in 2009. She received the Glasgow Film Festival Margaret Tait Award in 2013 and was shortlisted for the Film London Jarman Award in 2013. She will represent Scotland in the 2017 Venice Biennale. She lives and works in Glasgow and has shown internationally at institutions such as HOME in Manchester, Artpace in Texas, Casino Luxembourg in Luxembourg, Rowing Gallery in London, Zabludowicz Collection in London, and the Centre for Contemporary Art in Glasgow. Paulo Nimer Pjota (b. 1988) was born in Sao José do Rio Preto, Brazil and now lives and works in Sao Paulo. He moved to Sao Paulo at the age of 17 to study visual arts at the Centro Universitário Belas Artes. He graduated with his BA in 2010. 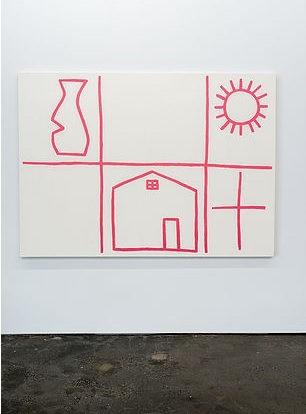 His work has been shown around the world including at Paço das Artes Sao Paulo and Mendes Wood DM in Brazil, the Astrup Fearnley in Norway, Kunsthal KAdE in Holland, DHC/Art Foundation for Contemporary Art in Canada and the MAC-Lyon in France. ​work in the RA Summer Exhibition following her election as a Royal Academician.